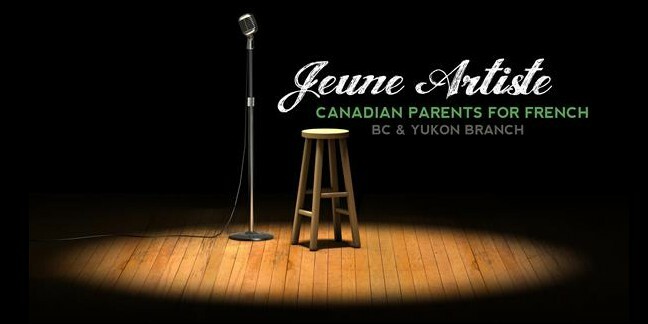 Jeune Artiste is the latest open format French creative arts competition in British Columbia. Students compete in storytelling, spoken word poetry, dramatic reading and singing/song writing. Showcase your creativity in your original work or borrow from your favorite artist. Students in Grades 10-12 are invited to submit to the Provincial selection committee to move on to the semi-final round. The top 3 winners in your community automatically move on to the semi-final selection round. The top 10 move on to compete at the Provincial competition in Vancouver in May 2015. Competition now open for Provincial semi-final submissions! Previous Previous post: Read the latest issue of CPF Magazine! Next Next post: Free after-school online homework help in French!